Founded in response to the Lubavitcher Rebbe’s call in 1972 to establish 71 institutions in honor of the his 70th birthday, Machon Chana was the first and remains the only full-time women’s baalas-tshuva Yeshiva in America. Chosen by the Rebbe to carry on the legacy of his saintly and illustrious mother, Rebbetzin Chana Schneerson, Machon Chana has stood the test of time, enlightening tens of thousands of women in the beauty and power of Torah, Judaism and a Chassidic life. Machon Chana has not only ensured the survival and revival of Jewish values around the globe, but has built thousands of Jewish homes on the tenets of Torah and Chassidus. “Now I’m going home!” As the Rebbe approached the dorm on the first night of Pesach after visiting several other institutions. “Thank you for raising my daughters!” to the dorm parents (Rabbi & Mrs Gansburg) during a yearly Pesach visit to the dorm. 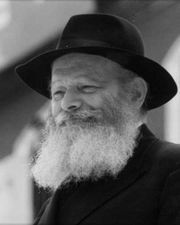 “Where are the mirrors and radios?” (alluding to the importance of women remaining grounded throughout their spiritual journey) When the Rebbe toured the dorm and inspected the furniture that arrived. “Anyone who suspects me of being prejudiced towards Machon Chana is right!” In a sicha said in honor of a Machon Chana dinner.